Failed Osseointegration – Osseointegration is the structural and functional integration between the dental implant and the patient’s bone. 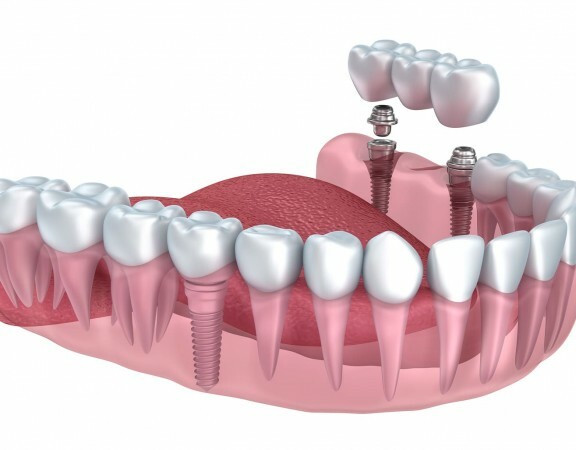 The integration process takes several months after the implant is placed. Failed osseointegration occurs when the jawbone doesn’t properly fuse together with the implant. 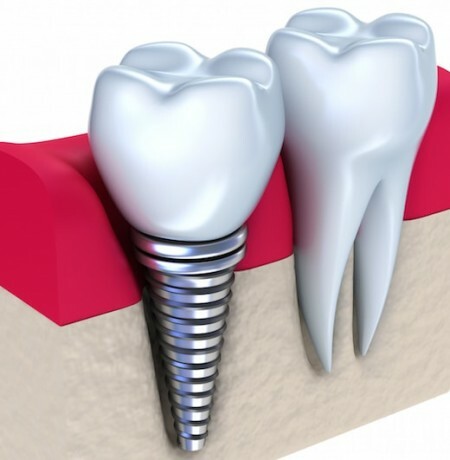 When this happens, the implant can become loose or fall out. Failed osseointegration is also diagnosed when bone loss occurs more than 1-mm after the first year and more than 0.2-mm after the second year. Failed osseointegration can occur due to inaccurate positioning, damage to the nearby tissue, an adverse reaction to anesthesia or insufficient bone density. It can also occur as a result of a sudden impact or external force, a fractured implant or overloading. 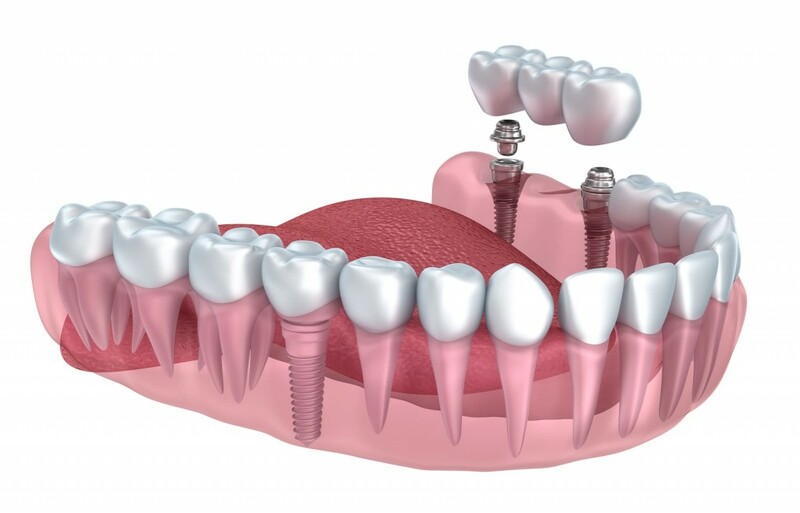 Overloading – A term used to describe a failed implant caused by undue pressure on the abutment and/or crown. This occurs when the oral surgeon chooses to perform immediate loading which is an all-in-one method where the oral surgeon places the crown and abutment on the dental implant at the same time as the post is surgically inserted. 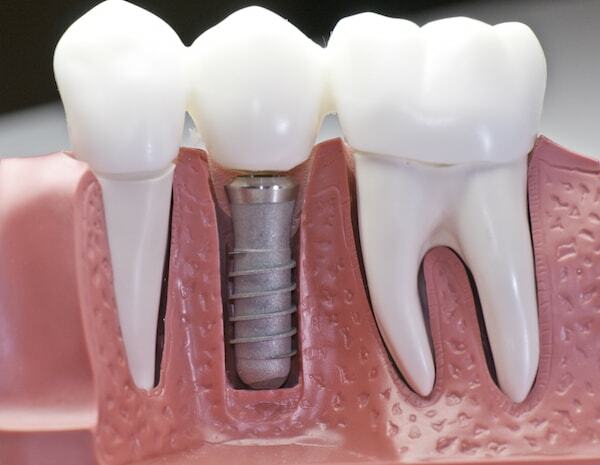 Although this method involves a quicker recovery as well as less post-surgical care and shorter treatment times, it can lead to complications with the implant. Overloading can result in the osseointegration process since the usual procedure involves a two step method which provides healing time for the implant to integrate with the bone. Peri-implantitis/Infection – This can occur when bacteria are present during oral surgery or post-surgery if proper dental hygiene is not maintained. An infection can also occur if the dental cement which is used to secure crowns onto the abutments, or connectors that hold the implant to the replacement tooth, seeps under the crown and gets caught in the gums. With peri-implantitis, the gums and/or bone around the implant becomes inflamed and can result in bone loss and implant failure. Even with good oral hygiene, an infection can occur several months or years after the procedure. Since a third of dental implant patients will unknowingly suffer from bone loss due to peri-implantitis, this disease is often called a “time bomb”. It is important for smokers and patients with diabetes or thin gums to understand that they are at a greater risk for peri-implantitis. Sinus Issues – Replacing teeth in the upper row can be a challenge due to the presence of the sinuses. The oral surgeon may need to perform a sinus augmentation by lifting the existing bone into the sinus cavity. The lifting of the bone creates enough space for a bone graft. By creating more bone in that region, the dental implant will be better supported. However, the sinus cavity can become infected from the protruding implant and may require additional surgery to correct the issue. Nerve and Tissue Damage – Any damage to the nerves and tissue around the implant is rare but it is a potential risk. This can happen when an implant is placed too close to a nerve. Patients could experience chronic pain as well as tingling or numbness in their gums, cheek, lips, tongue or chin. The nerve damage can be a temporary condition or it might be permanent. Depending on the level of damage, removal of the implant could be necessary. 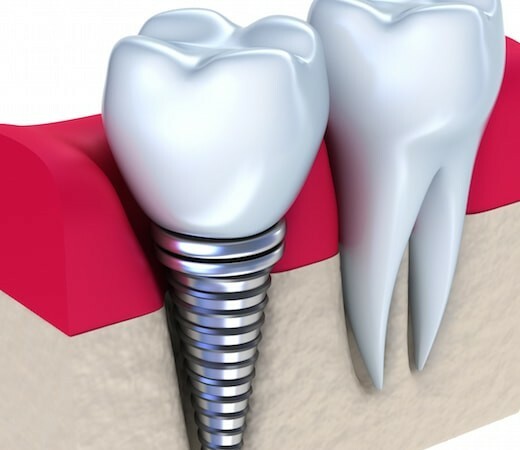 The success rate of dental implants is 95% without incident and the majority of issues that do occur are minor and easily resolved when caught in time. Patients should not wait to take corrective actions until the issue becomes a big problem. By then, a minor issue can turn into a more serious problem for the patient and the dentist.